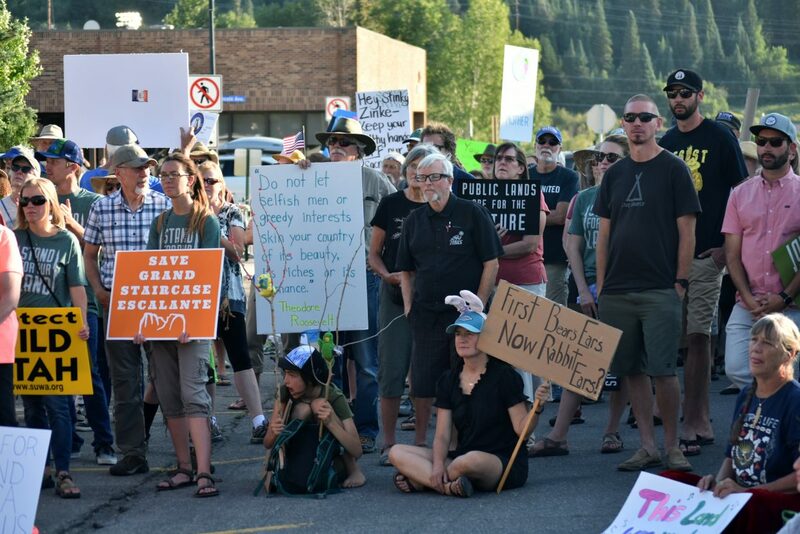 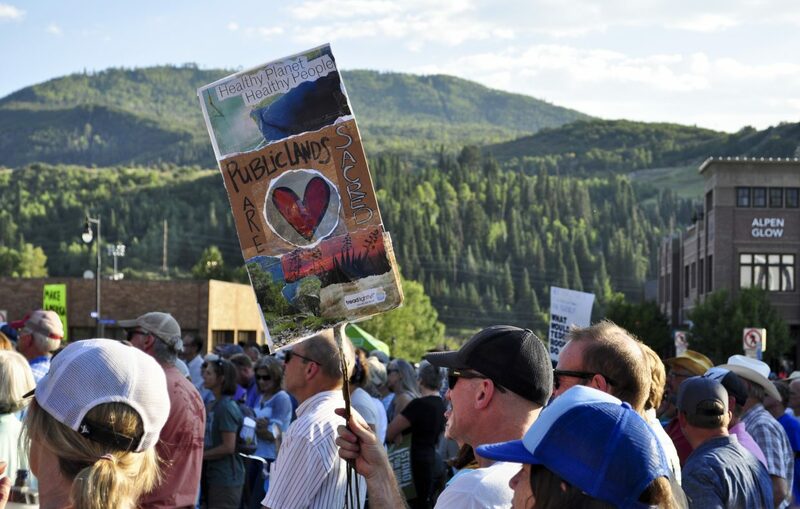 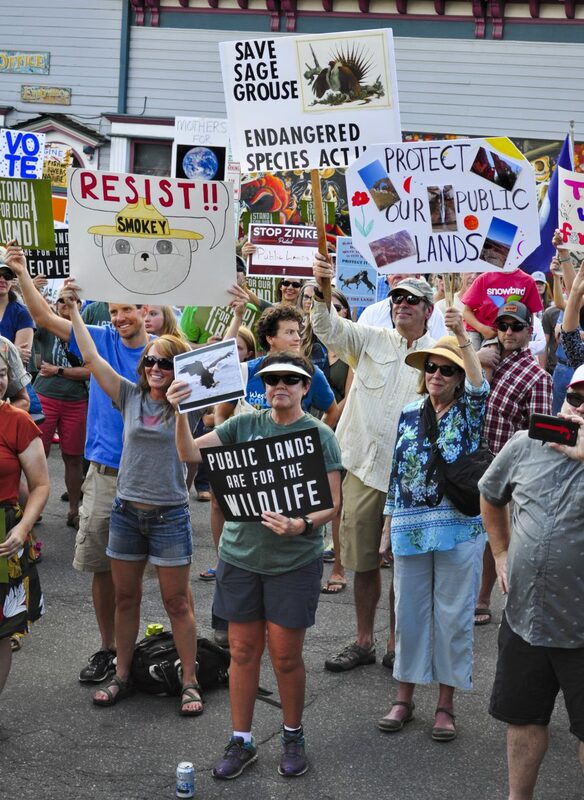 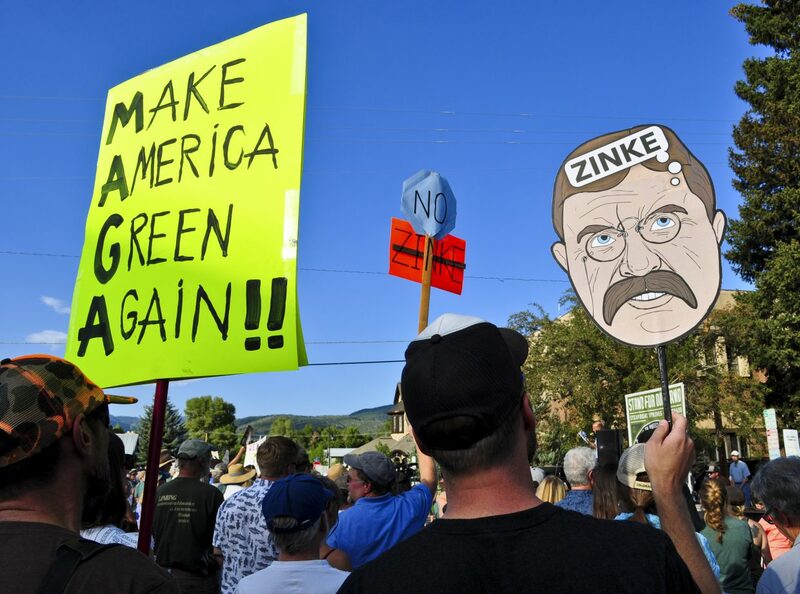 Protesters gather near the Routt County Courthouse in Steamboat Springs on Friday to celebrate public lands and demonstrate against U.S. Secretary of the Interior Ryan Zinke's policies. 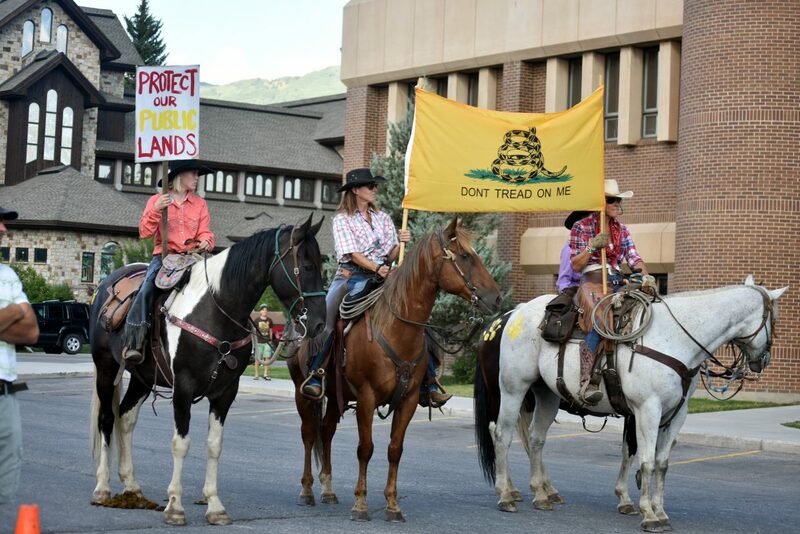 Protestors arrived on horseback to the "Stand for Our Land" rally in downtown Steamboat on Friday. 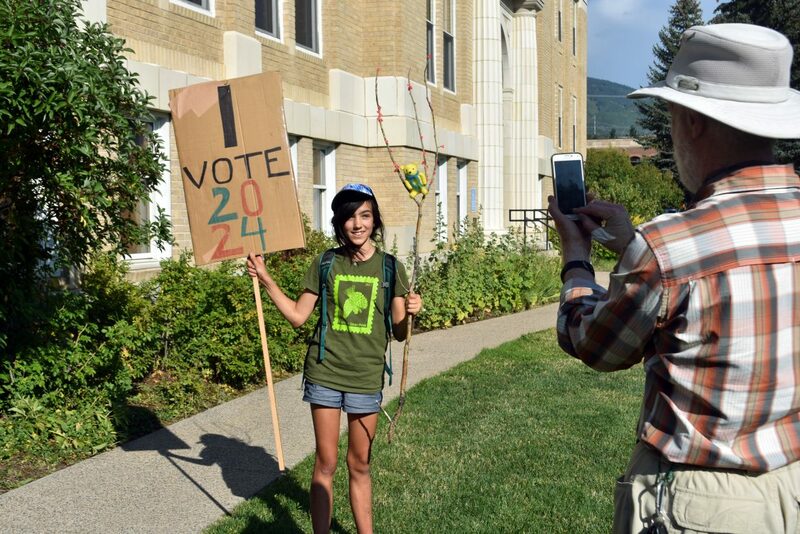 Wren Capra poses for a photo taken by David Moulton with a protest sign at the "Stand for Our Land" rally in downtown Steamboat Friday night. 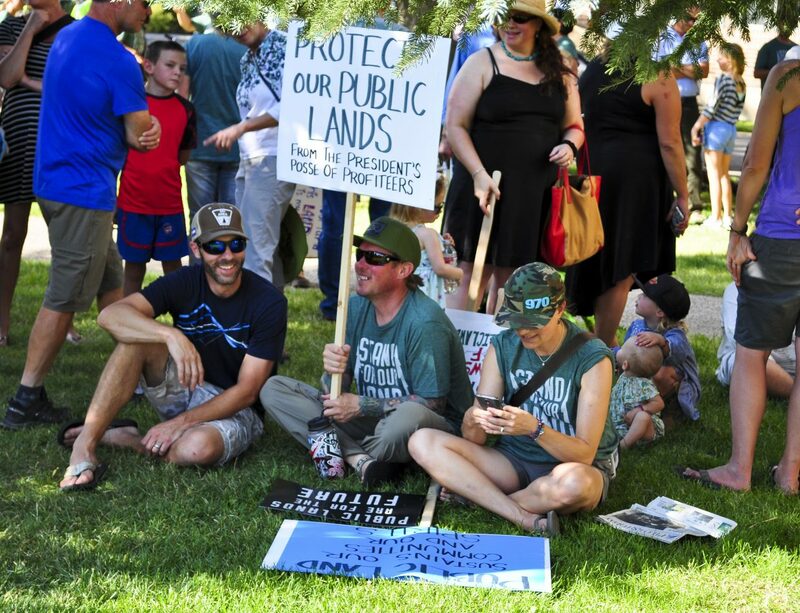 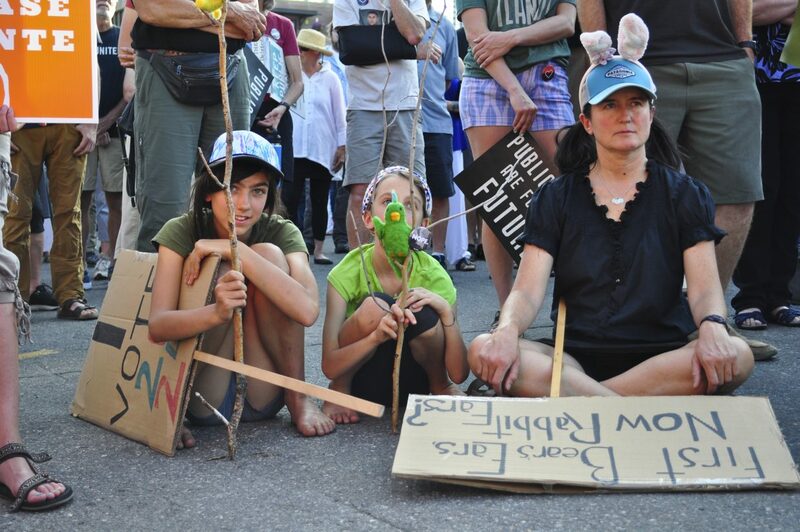 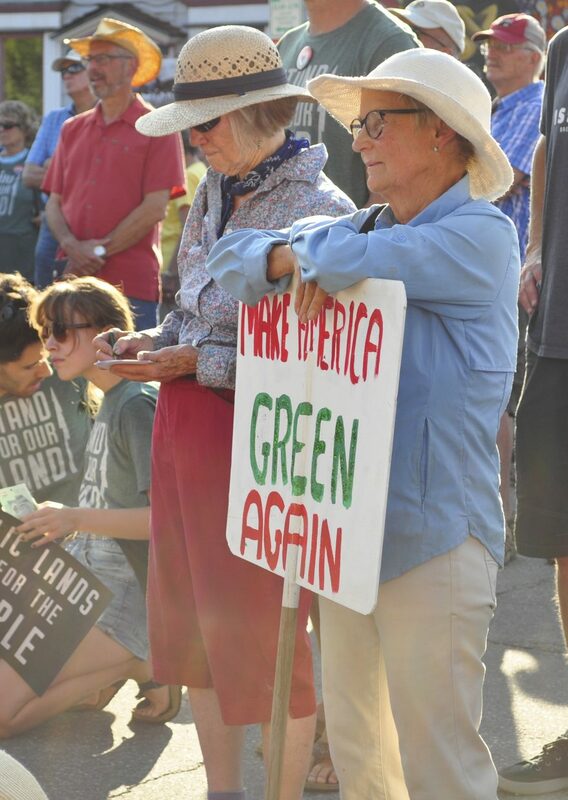 Marianne Capra, from right, and her daughters Lucy and Wren participate in the "Stand for Our Land" rally in Steambaot Springs on Friday. 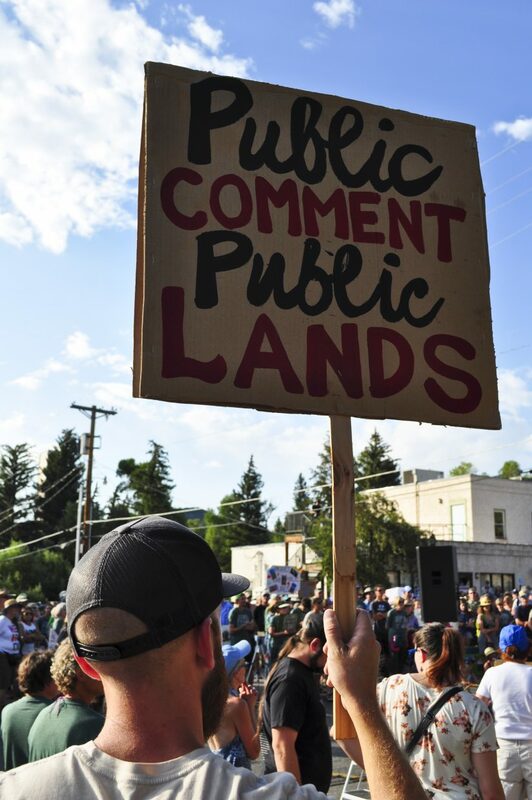 Protesters listen as Routt County Commissioner Tim Corrigan speaks at the "Stand for Our Land" rally in downtown Steamboat Springs on Friday. 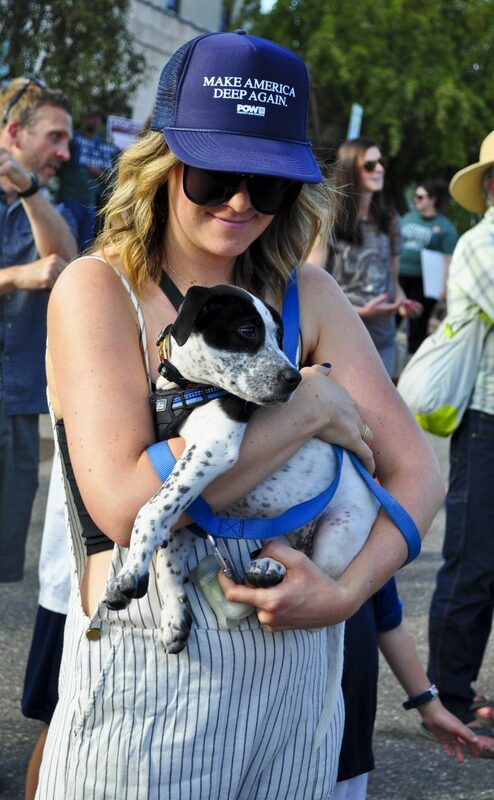 Morgan Cox and the puppy Cameo of Steamboat Springs observe the "Stand for Our Land" rally on Friday. 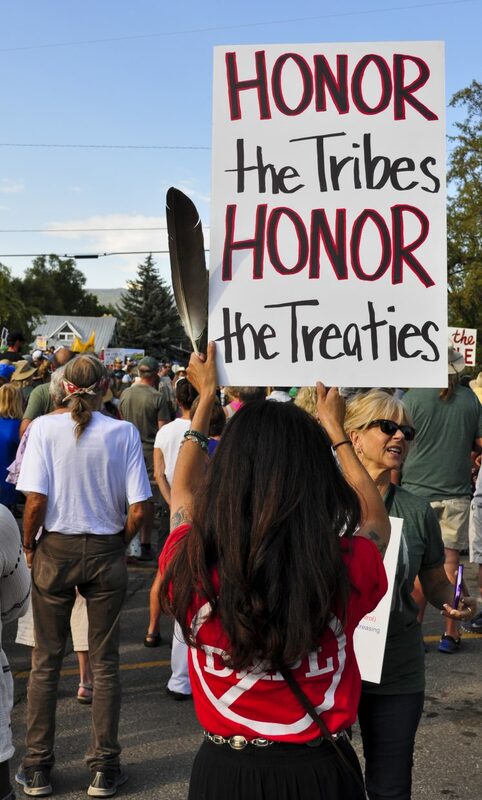 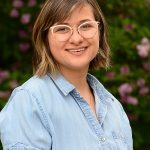 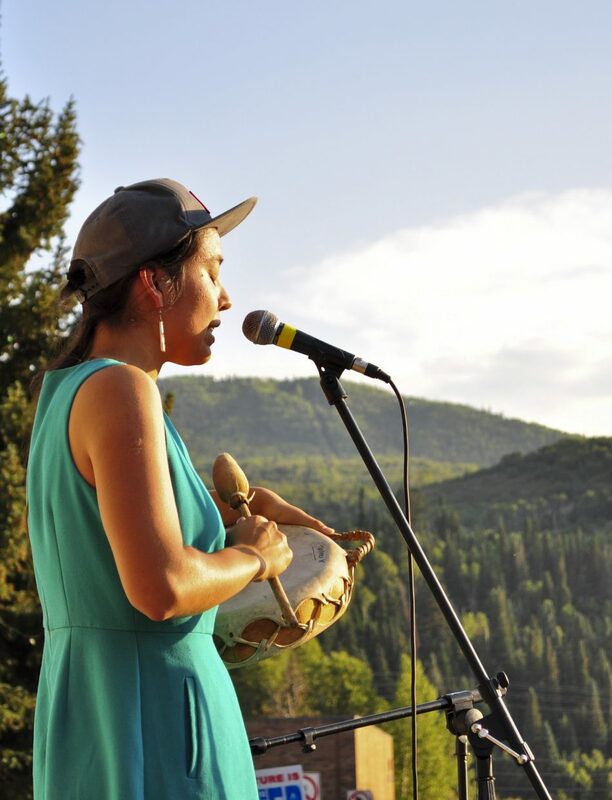 Lyla June sings of ancestors and modern day warriors at the "Stand for Our Land" rally in downtown Steamboat on Friday. 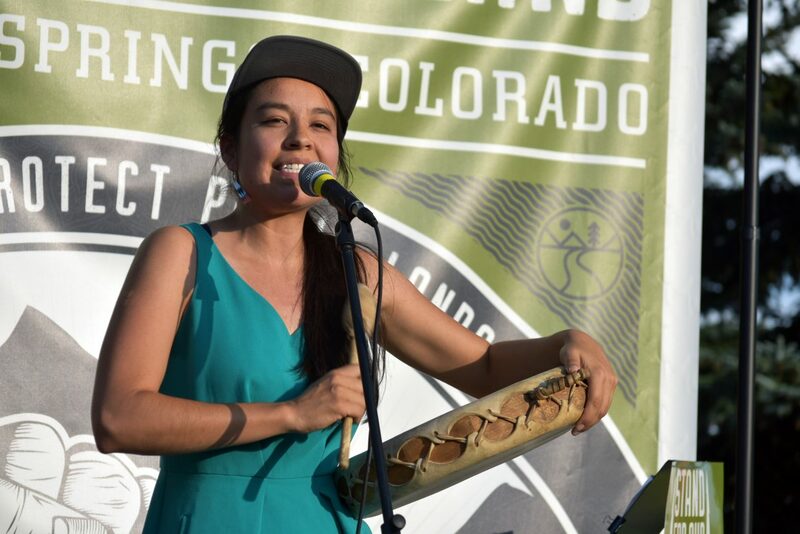 Lyla June sings at "Stand for Our Land" rally in Steamboat Springs on Friday. 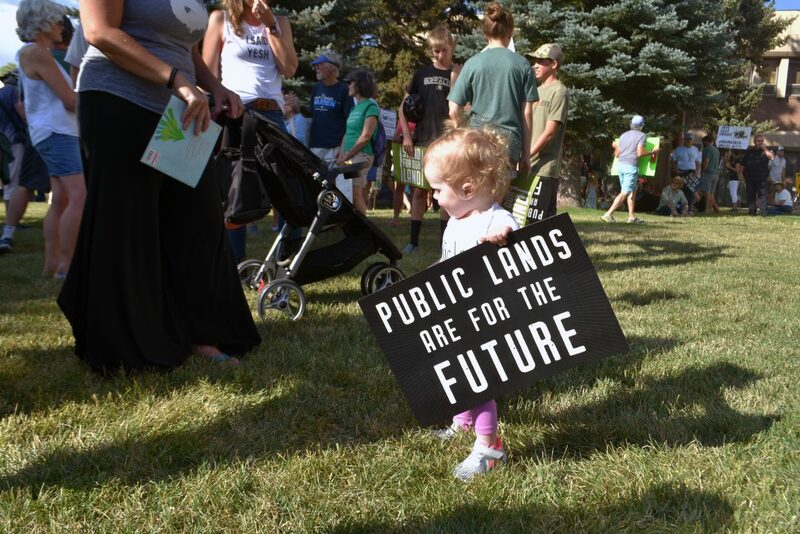 Eighteen-month-old Hazie Olsen holds a protest sign at the "Stand for Our Land" rally in downtown Steamboat Springs on Friday. 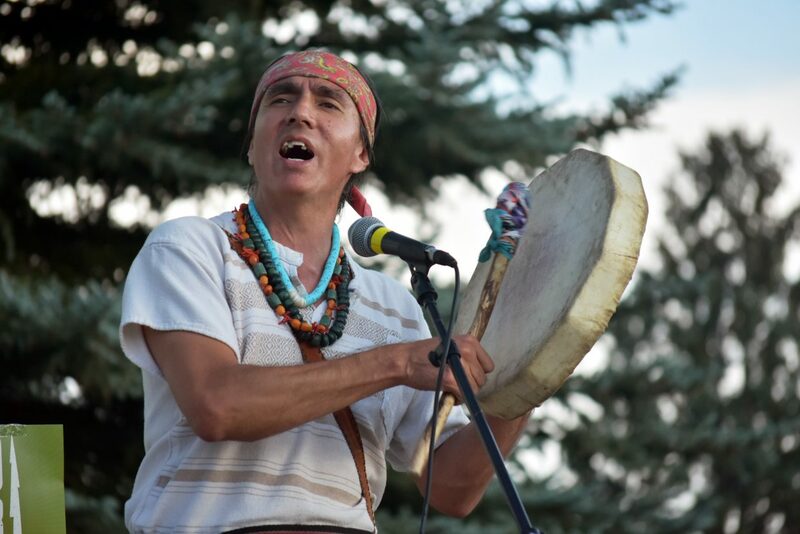 Enrique Maestas, a member of the Lipan Apache tribe and an instructor at Colorado Mountain College sings an Apache blessing at the "Stand for Our Land" rally in downtown Steamboat on Friday. 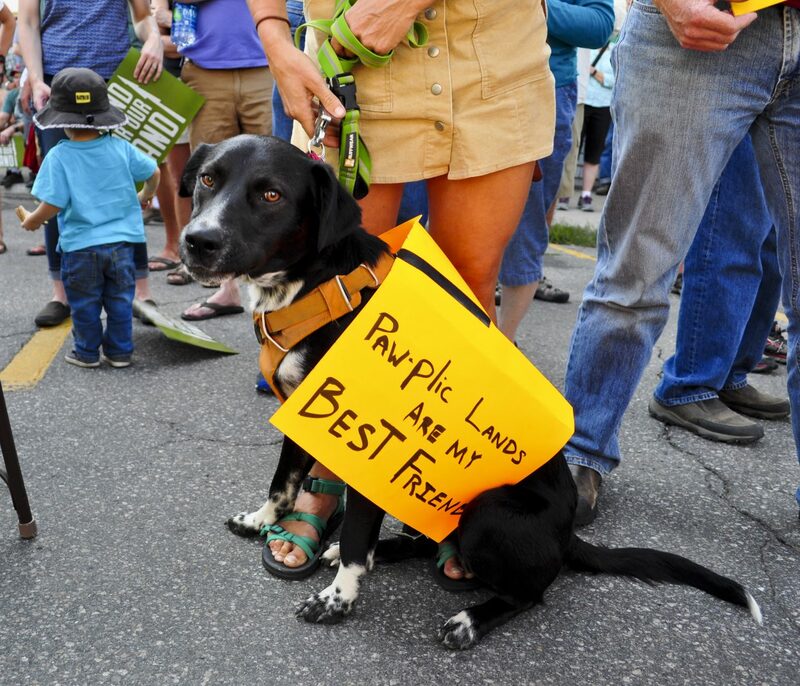 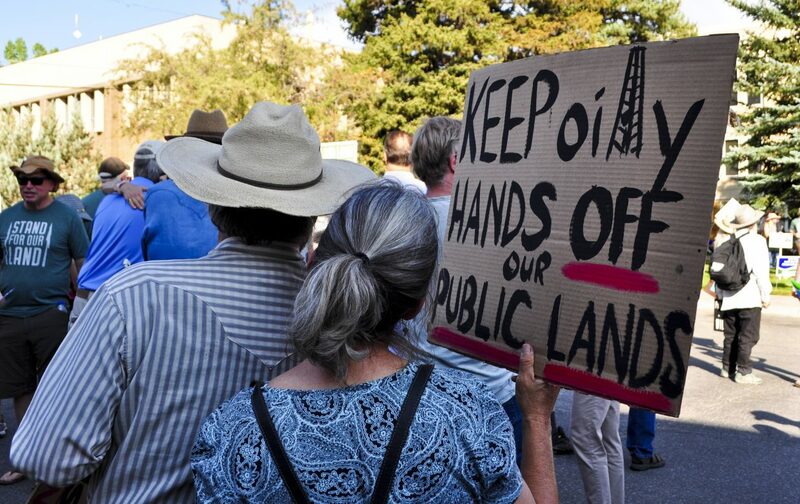 Jack sports his best sign at the "Stand for Our Land" rally in Steamboat Springs on Friday. 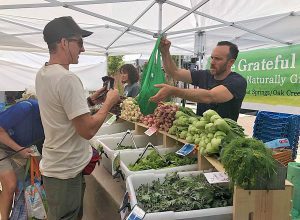 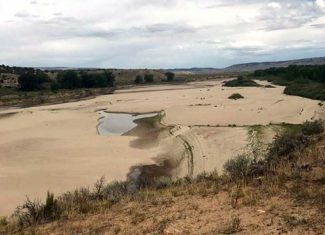 Jonah Lotz, a cattle rancher on Fletcher Ranch in North Routt County, described the beauty he saw in open spaces and the wildlife on the ranch.